The dengue virus (DENV) is a vital global public health issue. The 2014 dengue epidemic in Guangzhou, China, caused approximately 40,000 cases of infection and five deaths. We carried out a comprehensive investigation aimed at identifying the transmission sources in this dengue epidemic. 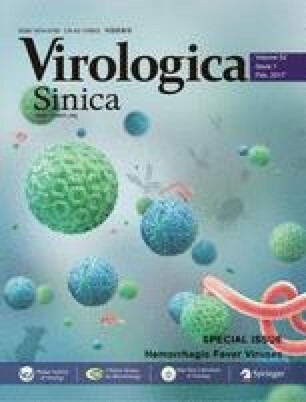 To analyze the phylogenetics of the 2014 dengue strains, the envelope (E) gene sequences from 17 viral strains isolated from 168 dengue patient serum samples were sequenced and a phylogenetic tree was reconstructed. All 17 strains were serotype I strains, including 8 genotype I and 9 genotype V strains. Additionally, 6 genotype I strains that were probably introduced to China from Thailand before 2009 were widely transmitted in the 2013 and 2014 epidemics, and they continued to circulate until 2015, with one affinis strain being found in Singapore. The other 2 genotype I strains were introduced from the Malaya Peninsula in 2014. 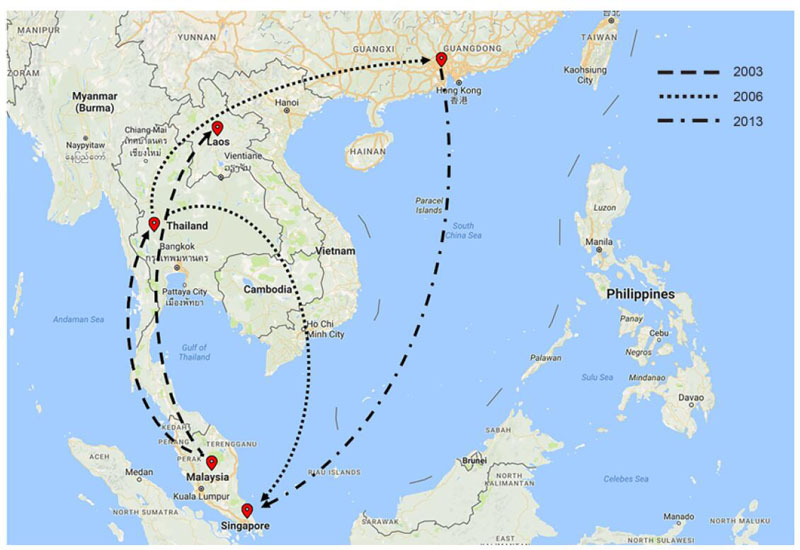 The transmission source of the 9 genotype V strains was from Malaysia in 2014. DENVs of different serotypes and genotypes co-circulated in the 2014 dengue outbreak in Guangzhou. Moreover, not only had DENV been imported to Guangzhou, but it had also been gradually exported, as the viruses exhibited an enzootic transmission cycle in Guangzhou. JGW designed and supervised the experiments. GL and PP carried out the experiments. QYH, XJK, KLW and WZ analyzed the data. GL and PP wrote the paper. YTL, HTH, JBL and ZDZ performed sample collections. DW, XHL and XPL provided helpful suggestions about the study. All authors read and approved the final manuscript. The authors declare that they have no conflict of interest. This study was approved by the Guangdong Province Traditional Chinese Medical Hospital Ethical Review Committee (no. B2015-011-01). Informed oral consent was obtained from all of the patients recruited for the study. This work was supported by the Guangdong Natural Science Foundation (No. S2012030006598), the Science & Technology Planning Project of Guangdong Province of China (No. 2013A020229007), and the Innovative Program of the State Key Laboratory of Virology (No. 2016KF001). We would like to thank the China Center for Type Culture Collection for donating the C6/36 cells, and Jing Peng and Weiyong Liu from the Department of Clinical Laboratory, Tongji Hospital, Tongji Medical College, Huazhong University of Science and Technology, for their guidance on the phylogenetic analyses. Open Access This article is distributed under the terms of the Creative Commons Attribution 4.0 International License (http://creative commons.org/licenses/by/4.0/), which permits unrestricted use, distribution, and reproduction in any medium, provided you give appropriate credit to the original author(s) and the source, provide a link to the Creative Commons license, and indicate if changes were made.